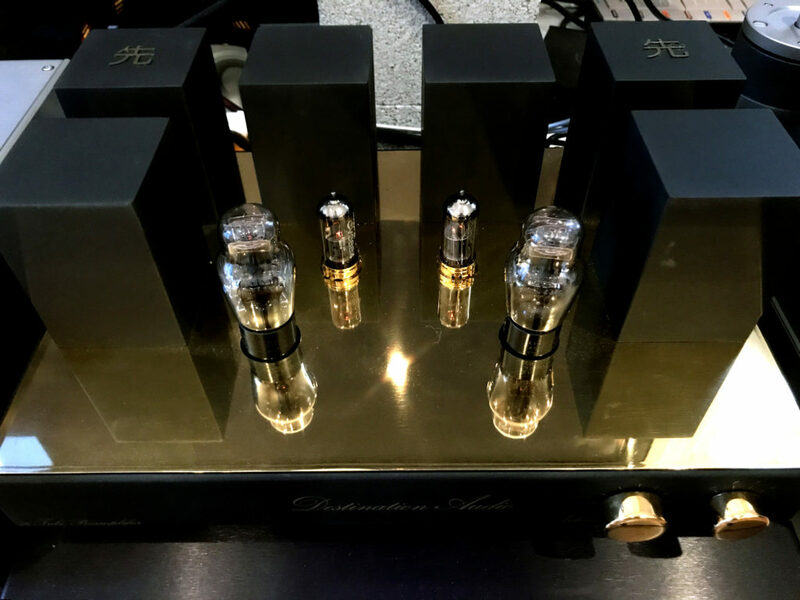 Destination Audio is the realization of company founder Sam Wisniewski’s dream of the sound of the directly heated 45 tube in triode mode. From the creation of the two-chassis 417A tube phono stage to the two-chassis 76 tube-based preamplifier, the 45 tube-based monoblock amplifiers and the Vista horn, the creative objective of all of Sam’s products was to convey the magic of the 45 tube. Sam has been visiting the states since he was 24, and his first exhibition at AXPONA in 2017 gained him notoriety when his buddy started calling him ‘Sam’ Wisniewski instead of the original Wlodzimierz. The name stuck ever since. 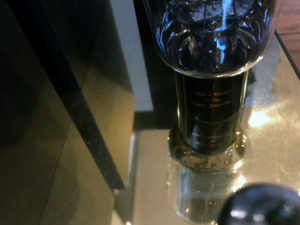 Amorphous-core transformers were adopted for the monoblock, as Sam preferred, again, the ‘unique, detailed’ sound of the amorphous core to other types of transformers, such as silicon and permalloy. Sam was of the opinion that ‘amorphics’ were able to convey something more than what was contained in music. Compared to other types of cores, however, amorphous transformers do not have as ‘abundant’ a bass as others as to be slightly light sounding. However, by adapting the transformer parameters to a specific tube, Sam believed he could get great results. Destination Audio transformers were made to order with exacting parameters to achieve the best performance out of the 45. A two-chassis 76 DHT linestage that served as a perfect companion to the 45 monoblock amplifier was included for this review. Sam chose the 76 tube for its tone, but it was rather susceptible to microphonics. The solution came in the form of ‘muted internal stands’ as in soften suspensions, which reduced the effect of microphone. The two-chassis design separated the tube power supply from the main, signal handling chassis. While the open top design of both chassis of the linestage made component stacking for space saving out of the question, I often obtained superior performance of the component by placing the PSU away from the main chassis anyway. A lone 5U4G tube rectified the power supply unit. The front of the main chassis was adorned with two round, gold knobs, namely VOLUME and SOURCE. The volume control was a Japanese Alps potentiometer. Continuous in rotation and not stepped, it made for effortless volume adjustment and was completely silent in operation. I have experiences with preamplifiers equipped with expensive volume pots where the implementation lacked precision and consistency during turning, but the DA 76 linestage was rugged in construction and completely quiet in operation. The SOURCE knob provided selection of four pairs of RCA inputs. A costlier and more exotic option of amorphous TVC transformer coupled volume control was optional. Handling RIAA equalization was the 417A tube phono stage with a separate PSU. 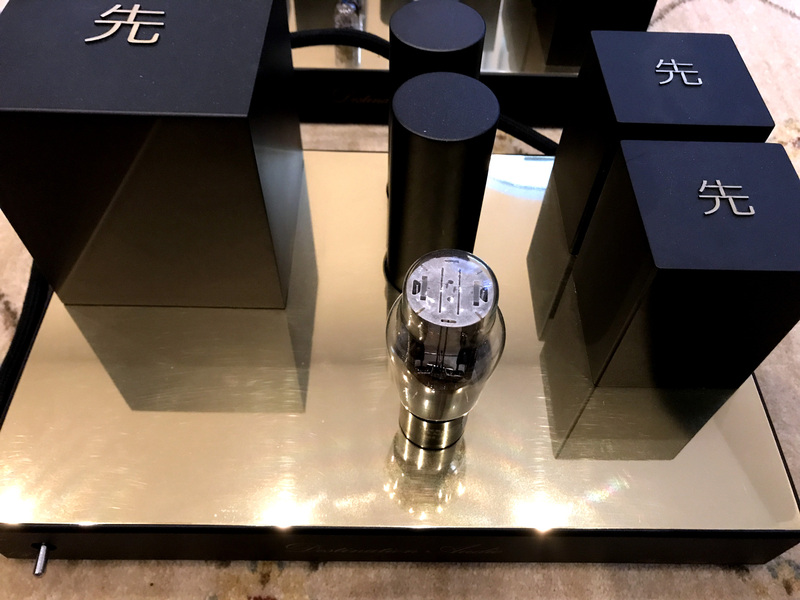 Flaunting three gain stages with two WE417A and not two but four 5687, the 417A phono stage was arguably the most brilliant star of the phono stage-linestage-power amplifier trio that was already devastatingly spectacular, utilizing LCR transformer to achieve RIAA equalization. 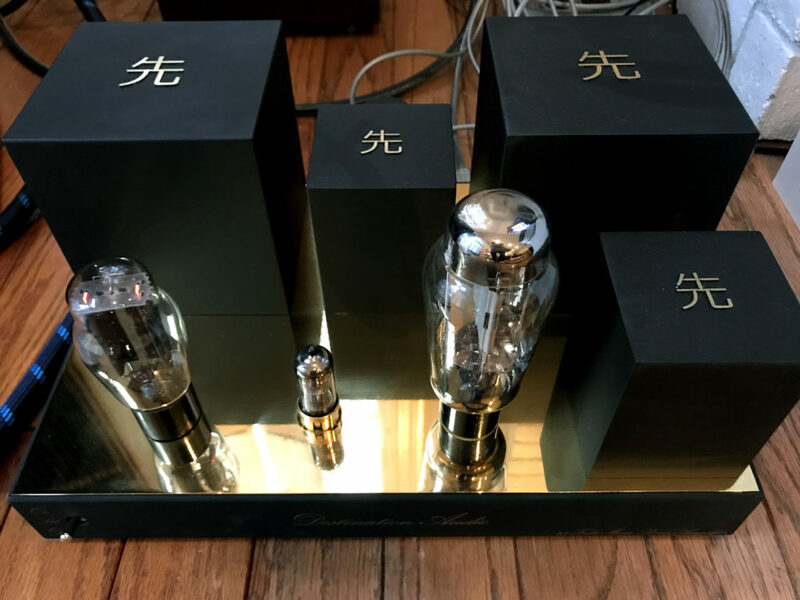 Capable of high transconductance and hence low noise and widely adopted in microphone preamplifiers, Sam chose the 417A for both the resultant sound quality and suitability of the tube for use in a phono stage. The phono stage featured a pair of the NOS WE417A. Per a 1962 Western Electric Data Sheet, the WE417A was described to be ‘intended primarily for grounded-grid operation in the input stage of broad band amplifiers.’ The 5687 tubes were selected for the second and third stage for their sound quality as well. Again, a lone 5U4G governed the outboard power supply unit. Between the WE417A tube and the second stage, an amorphous interstage transformer was used. While production units could be set for a load impedance of up to 200 Ohms, the review unit was set for 10-150 Ohm and 0.2-0.4mV of output. It is noteworthy that the 417A could also be set for a moving magnet load of up to 85k Ohms! Set to a gain of 72dB on the moving coil, the 417A was really designed for use with low compliance cartridges. 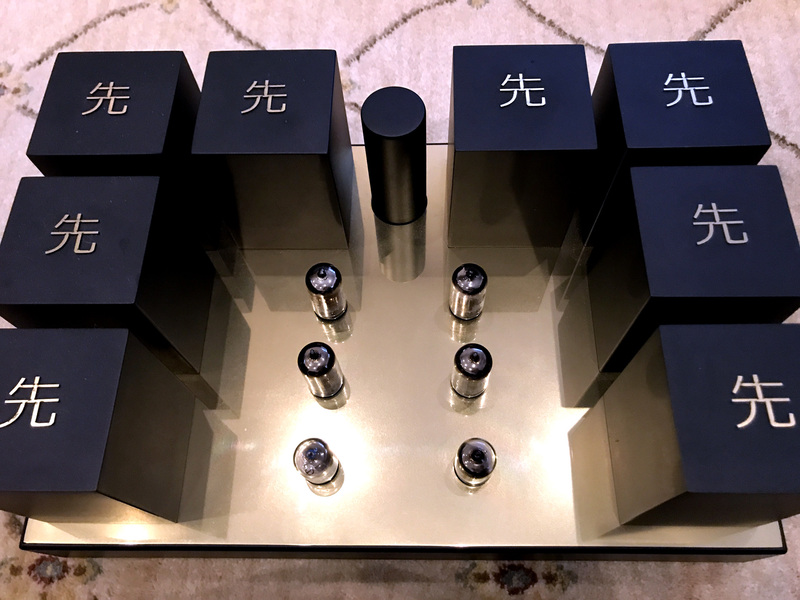 The $9,995 Koetsu Jade Platinum with 80-1k Ohm impedance and 0.3mV output, $5,895 Kuzma CAR-50 moving coil cartridge with 100 Ohm impedance or less and 0.3mV output and the $4,499 Sumiko Palo Santo Presentation with 100-1k Ohm impedance and 0.5mV output were proven prime partners. The Kuzma and Sumiko both exhibited beautiful textural compositions and massive tonal ranges, with the Kuzma with its 4N silver wired-coil and sapphire cantilever edging out on superior displays of nuance and low-level background instrumentations, such as a rhythm electric guitar amidst a group of players. The low impedance requirement of the Kuzma made it the star with natural balance of spectral presentation at the lowest price among the three. The Koetsu and Sumiko would normally sound slightly less brilliant at the top-end at such low impedance with lesser tube phono stages, especially with the Koetsu sounding a little less energetic in the upper midrange and up than I’d like; but in this case, it was nuanced, dynamically unimpeded and tonally spectacular. This was my first time experiencing a WE417A phono stage in a 45-based single-ended triode amplification and horn system and the effects were more than subtle and utterly sublime. As of this writing, Tube Depot continued to carry the NOS WE417A at around $175 each. Time to stock up, tube aficionados. And here comes the most visually striking member of the family, the Vista horn.